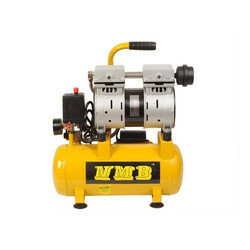 Manufacturer of a wide range of products which include portable air compressor, air compressor, mono block air compressor, oil free air compressor and oil free air compressor 9 litr (silent). 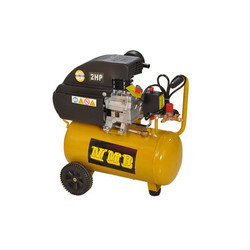 NMB Portable air compressors are available in a variety of shapes and sizes. Smaller models are light enough to carry, and larger ones are equipped with wheels that make them easy to move from project to project. 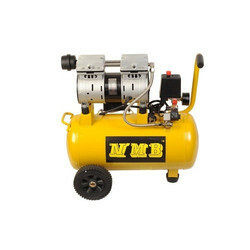 For applications like powering a brad or finish nail gun or inflating tires, consider a lightweight, oil-free compressor with a 2–6 gallon tank. For more demanding jobs, like powering a frame nail gun, you’ll need a portable compressor with more power. A wheelbarrow compressor with a 4–5 gallon tank provides adequate air flow, but is still easy to maneuver around a job site. 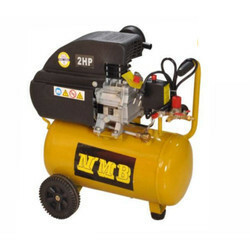 If you’re looking for a portable compressor suited to working on a car in your garage, you’re going to need more power and greater air storage. 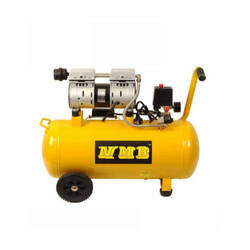 Consider a space-saving vertical compressor with wheels and a 20–30 gallon tank.